Record Store Day is just around the bend, with all three of our stores ready to rock you with a stacked lineup of special appearances, performances, sales, and of course, exciting exclusive releases. This year, the good people behind RSD have outdone themselves in a lot of ways, in particular, with a truly impressive lineup of soundtrack LPs. From cult films to genre classics to the recently rediscovered, these reissues promise cool extras, sweet tunes, and plenty of good times. Some of these are available in ultra-limited runs, while others have been out-of-print for quite some time. If you're a cinephile / soundtrackphile, read on for our picks for RSD 2018's most compelling soundtrack reissues available at Amoeba on Saturday, April 21st. 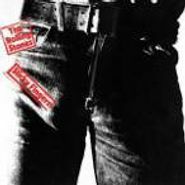 To coincide with its North American tour this Spring, The Rolling Stones will reissue one of its best-loved albums, Sticky Fingers, in a deluxe edition May 26. The super deluxe edition will include all that and Get Yer Leeds Lungs Out!, a 13-track disc of the band’s March 1971 performance in Leeds, plus a 120-page book with new liner notes, previously unpublished photos, a print and postcard set and a cover that updates the original iconic album image with a real working zipper. As reported this morning by several news outlets and confirmed by his publicist, Cream bassist Jack Bruce died at his home in Suffolk, England. While no exact cause of death was announced, it has been reported that the revered artist had suffered from liver disease. He was 71 years of age. Inducted into the Rock and Roll Hall of Fame in 1993, the lifelong musician -- who played and recorded solo, and with such artists as Ringo Starr and Frank Zappa (his latest solo album Silver Rails released back in March of this year - also released on vinyl) -- will always be best remembered as the bassist for the influential '60's British rock trio Cream along with Eric Clapton and Ginger Baker (seen in photo above, circa 1967). The Cream classics "Sunshine of Your Love" and "White Room" (both hit singles culled from the Cream albums Disraeli Gears and Wheels of Fire respectively) are among the songs that Bruce wrote or co-wrote during the rock supergroup's all too-short career (1966 - 1968. Although they did reform briefly a couple of times in recent years including a decade ago for shows at Madison Square Garden and the Royal Albert Hall). Check for Jack Bruce's solo discopgraphy and his Cream discography at the Amoeba online store. Meanwhile, below is a video of Bruce and Cream performing "White Room" at London's Royal Albert Hall when they reformed in 2005. At the beginning of documentary Beware of Mr. Baker, we’re introduced to the titular character when the misanthropic elderly man bashes his biographer in the face with a cane. Filmmaker Jay Bulger gets out of the car to show us his bloody nose, and from there we’re whisked back through not only the story of Ginger Baker, famed drummer for Cream, but also the story behind the creation of the film. Bulger bills himself as a writer for Rolling Stone in order to get an interview with the reclusive Baker — this is a lie. However, the article Bulger comes up with once he meets with Baker in his South Africa compound does get published in Rolling Stone, providing the catalyst for the film. The brash Bulger, and his interactions with Baker, become a hilarious side story to that of Baker, the red-headed wild man who helped pioneer rock drumming as a member of Cream, with Eric Clapton and Jack Bruce. Baker’s unique, African and jazz-influenced style would go on to be widely used in hard rock and heavy metal in years to come. But Baker’s personal life is beset by drugs, family issues, several wives and money problems. However, Beware of Mr. Baker is no predictable “VH1 Behind the Music” story, nor is it a sob story. It’s more a celebration of a life thoroughly lived, and of a character whose lust for life and for drumming supersedes his ability to live normally and care for anyone else. It’s riveting viewing, even (and perhaps especially) for those unfamiliar with Baker. The film’s editing, full of animated bits, stock footage and interview footage, jump-cutting and fading with psychedelic aesthetic, is nothing short of brilliant. It also includes enlightening, often funny interviews with the likes of Clapton, Steve Winwood, Carlos Santana, Lars Ulrich and Neil Peart.